Quality in TOUCH: Quality is opened to the mobile world, the companies open to customers and suppliers. 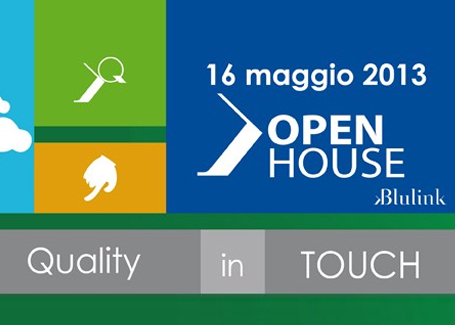 The topics on which will focus the Open House 2013 Blulink an annual event aimed at customers, partners and encouraged Managers, Quality Managers, Security, Entrepreneurs, Managers of Production and Maintenance and practitioners who are interested in take visions of Blulink solutions. This year the Open House will be held at the Auditorium Anna and Marco Gerra at the International Centre Malaguzzi in former Locatelli warehouses. An international site dedicated to listening and visibility of the rights and demands of children. Soon it will be online the detailed agenda of the day! Please note that places are limited, registration is required by Monday 13 May.